Glade Curtis, MD, is an accomplished author who has helped millions of moms and dads prepare for pregnancy and parenting issues with his best-selling works. Here’s what he has to say about child development and parenting. 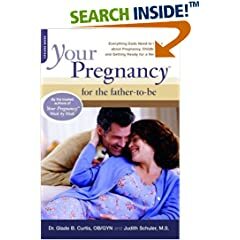 You’ve written several books on parenting, including “Your Pregnancy for the Father to Be,” “Your Pregnancy Week by Week,” “Your Baby’s First Year Week by Week,” and 14 other titles in the “Your Pregnancy” series. What is the one thing you think parents should know about your work? My co-author and I speak from personal experience; between the two of us we have 6 kids and 12 grandchildren. We love them dearly and are very involved in their lives. He is extremely important. I believe the father can begin to bond with the baby during pregnancy, before birth. Give the time necessary to be involved, even if it means missing work, school, or other responsibilities. Not realizing the unique opportunity they have during the miracle of pregnancy, delivery and with a newborn. Things change so fast and kids grow up faster. Treasure these moments – take the time to record things that happen with photos and even a journal. Write down your feelings and thoughts about events and milestones. Kids can be funny, frustrating, hilarious, maddening and more – but time goes by. By taking photos, videos and recording your thoughts and feelings, at a later time you can reflect and remember these precious times. Many couples, moms and dads have said to me that they regret not spending more time with their newborn and very young children. Parents should do for their kids what they think is best. This includes teaching and nurturing. Children need to know a sense of security, who they can depend on and where they can get help. I think that a sense of security, support and love for a child are essential. Each child is different and their needs are different as they go through life. At times love and good feelings are the answer, parents can help with the challenges of the real world knowing their children. By being involved with a child from very early on, parents can know how to best help, teach, and guide them. The goal is for children to learn these skills with the help of mom and dad.